Catty offers a wide variety of bags in different shapes and styles. They can be worn on the wrist, the back, or on the handles. Can be large or small, volume or flat. The materials from which they are created are diverse - from leather, plexiglass or fabric to luxury embroidery. Ladies can find both large bags with two handles and trim mini purses handbags with a handle in different colors and prints. For accents are used elements like studs, rhinestones, beads, tassels and more. Catty recommends for everyday big bags with short handles. They come in various forms - trapezoid, square in pastel tones, satin bags and type shopping bag. Catty highlights of perforated leather bags with laser-cut shapes. Some of them resemble cut lace with beautiful floral motifs, while others resemble a network or knitted lace. They are back in larger sizes, perfect for summer routine. Along with the floral prints on the clothes in bags Catty also offers prints, but the focus is on black and white bags with prints of dots, squares, flowers and more. For evening Catty offers clutch bags with all sizes and colors with different designs and styles - folding bags, large type folder with beads and caps etc. For ladies admiring small bags Catty offers metal handles mini bags, transparent or decorated with stones, embossed with mountings and others. 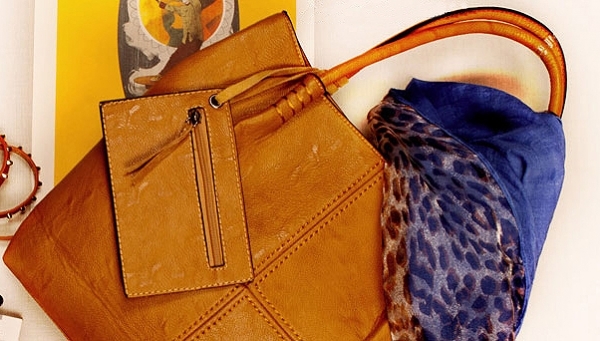 Emphasize your style with a gorgeous bag from Catty!